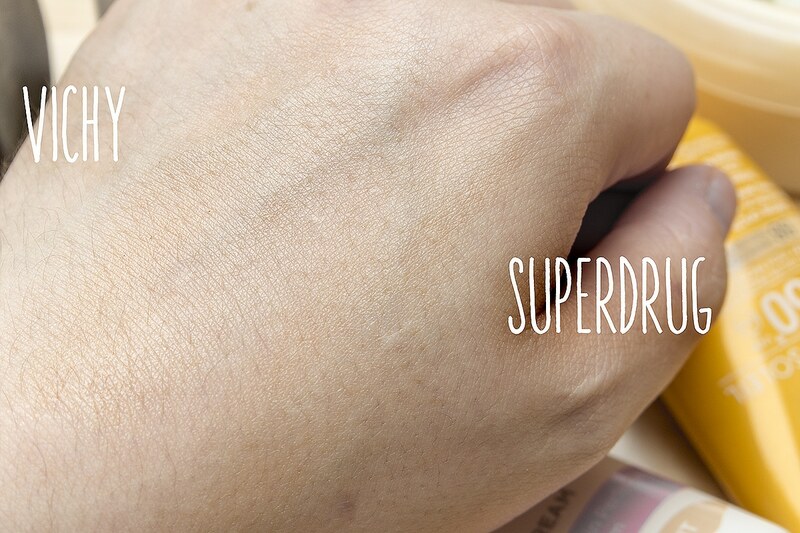 I agreed to work on this project with Superdrug because I love the concept. 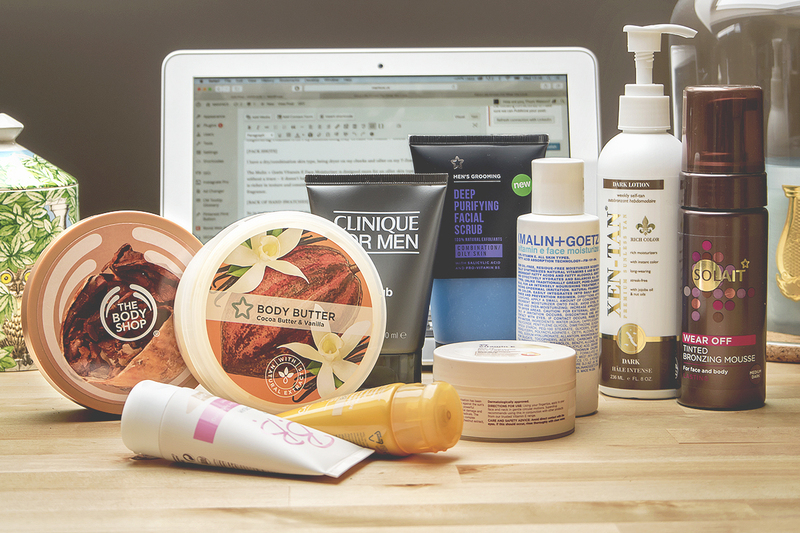 In the skincare, beauty and grooming market, technologies are filtering from top to bottom faster and faster. An ingredient that would once take 5 years to be formulated into a budget brand from an ultra-luxury, now can take just months. So, are we throwing our money away? Superdrug certainly thinks so; £150 to be exact. They are so confident that their own brand products can rival those of their big brand rivals, that if you aren’t 100% happy with your purchase, you can can get a full refund along with a 25% off voucher for their next Own Brand purchase – all with their 100% Happiness Money Back Guarantee. Am I being paid to say this? 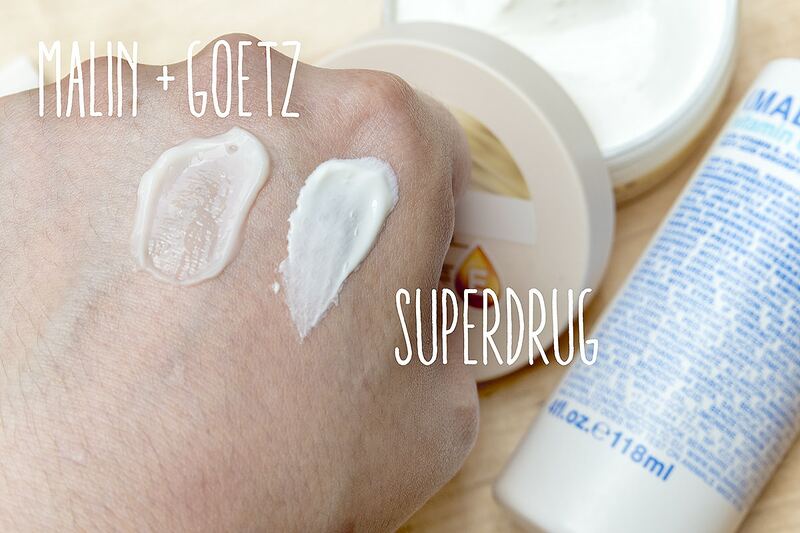 In the spirit of transparency, Superdrug have sponsored me to tell you about their awesome new campaign, and they’ve also paid me for my time to test out their own brand products in comparison to my branded favourites. But, they haven’t paid me to give them a positive review – that’s down to me and you know being the miserable, critical bugger that I am you’re going to get the truth. I’m guessing as the brand is reading this part, their bums have just tightened a little. 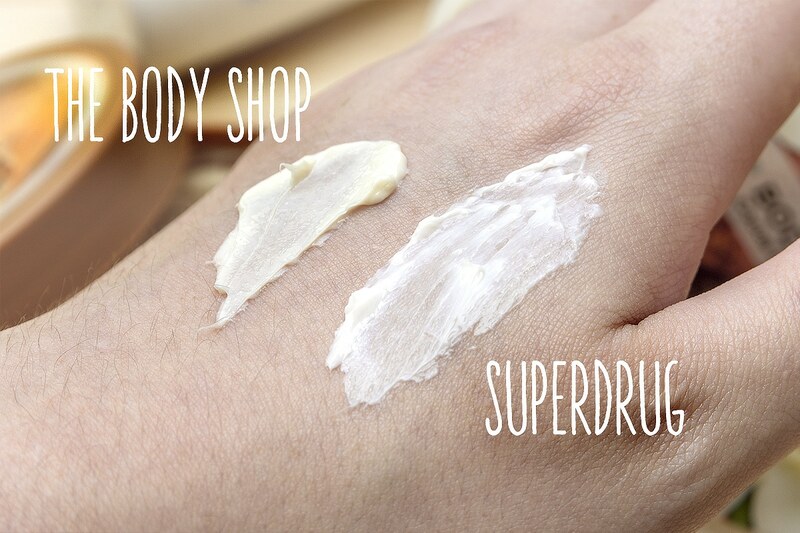 Superdrug’s Body Butter is mineral oil based whereas The Body Shop’s is soya oil and cocoa butter based. However, there are a lot of myths out there about mineral oil (liquid paraffin). Firstly it doesn’t block the skin, instead sits on its surface and helps retain moisture. Secondly it rarely causes reaction even in the most sensitive of skin types! A great read can be found here on Paula’s Choice. Whereas The Body Shop’s cocoa body butter is for very dry skin types, Superdrug’s is for normal to dry. This is definitely obvious in their sink-in-ability. The Body Shop’s takes a while to sink in and can sometimes leave a slightly sticky residue on the surface. Superdrug’s sinks in, leaves skin amazingly soft and the fragrance is lovely; very mild and soft. 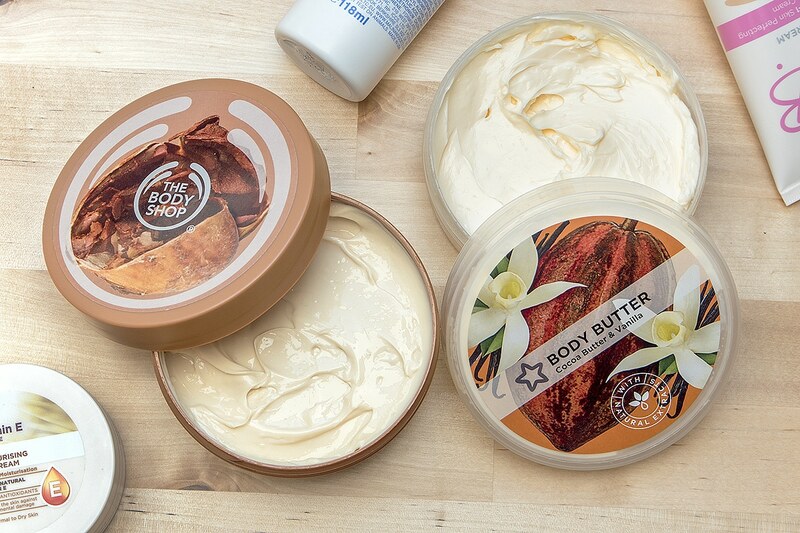 Even though there are artificial ingredients forming the base of Superdrug’s Body Butter, it’s filled with natural ingredients including Cocoa Butter, Vanilla Extract, Vitamin E and Pro Vitamin B5. Winner – Superdrug Cocoa & Vanilla Body Butter is better for guys if you want something moisturising that sinks in well. Although, if you’re wanting something richer, then definitely go for The Body Shop. This is a tough one as I don’t really fake tan anymore. I used to when I was 16/17 but being as white as I am, it never looked 100%. Fake tanners are supposed to enhance and compliment your natural colour rather than look like you’ve coloured in a piece of A4 paper (me). 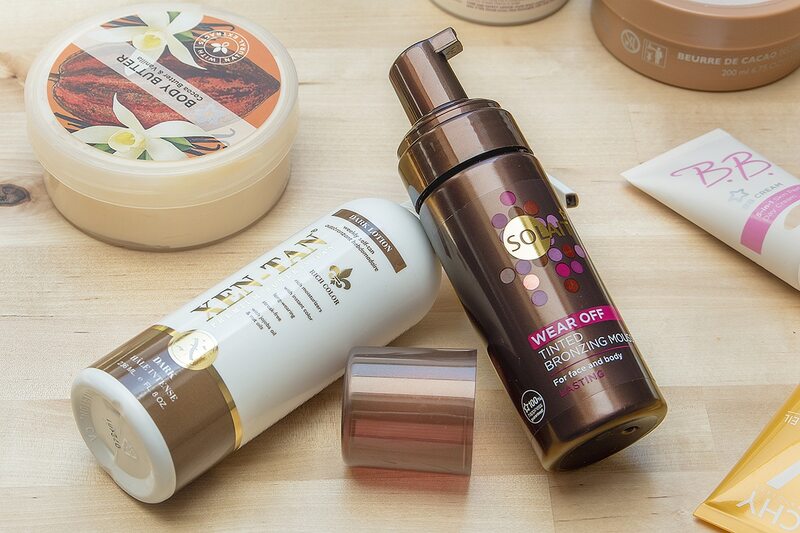 Superdrug’s Solait Wear Off Tinted Bronzing Mousse is super lightweight, has a glycerin base and is formulated with Vitamin E and Aloe Vera. It sinks in very quickly; very quickly indeed so you don’t have a huge amount of time to work with it. If you’re good at tanning and/or have some colour anyway, this won’t be a problem. It needs 4 hours before you rinse it off. Colour-wise, it’s a bit orange/yellow for my liking. I used to use the XEN-TAN mousse but switched to the Dark Lotion just because of the fact you seem to get more tan for your buck. With a water, glycerin and dimethicone base, it sinks into the skin, hydrates amazingly and gives you great workability but sinks in like a dream – it seems to ‘know’ when you’ve finished blending. There’s also conditioning safflower, vitamin E and jojoba oil. 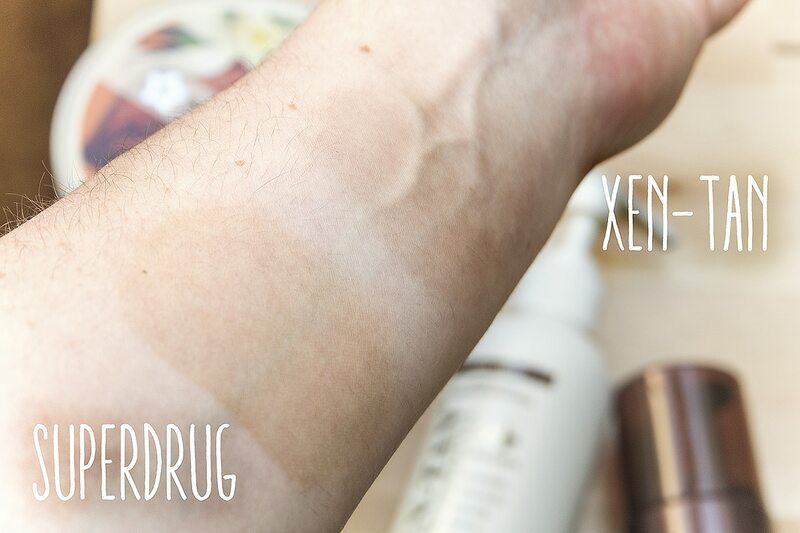 Winner: XEN-TAN Dark Lotion, it gives a superior colour match (for my skin tone) and is easier to work with. If you want to top up or even out your colour or prolong your summer tan, then the high-impact and quick mousse from Superdrug is certainly worth considering. Obviously the Vichy has a higher protective SPF than Superdrug’s but I’m testing them based on their coverage and colour properties. Vichy’s has more of a pink tone and is thicker, I’m not a massive fan when not on holiday with it as it feels a little cloying on the skin. Superdrug’s has a more olive tone; really balances the skin tone (also great on dark circles if you bring it just below your eye) and doesn’t leave my skin feeling sticky; it’s also really hydrating but non-greasy. Winner: Superdrug BB Cream SPF15, a really great BB cream for everyday use that leaves my skin looking brighter and skin tone more balanced. 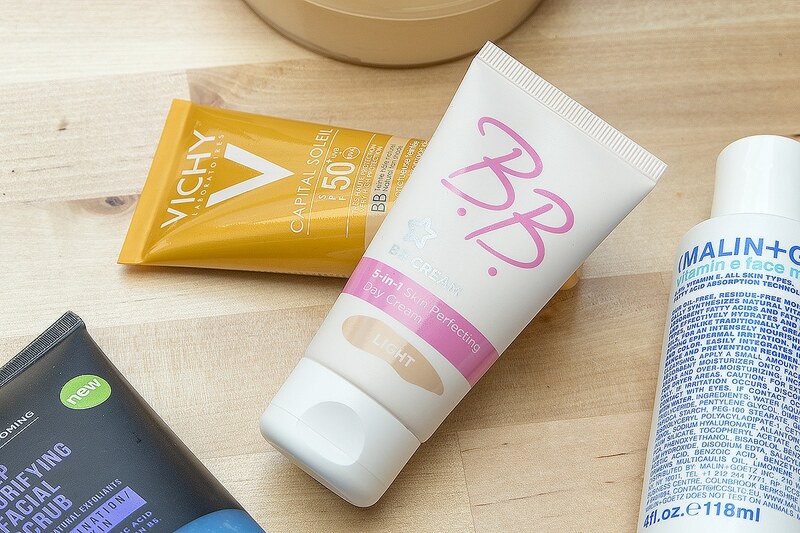 If you’re looking for more of a holiday product with high SPF and to calm down some of that sun redness, maybe consider Vichy? 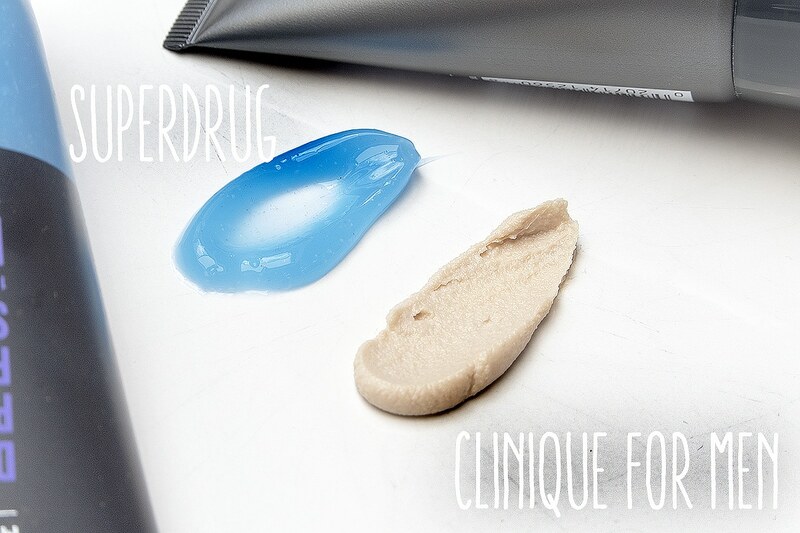 I have a dry/combination skin type, being dryer on my cheeks and oilier on my T-Zone. The Malin + Goetz Vitamin E Face Moisturiser is designed more for an oilier skin type; is mattifying and sinks in without a trace – it doesn’t have any SPF. 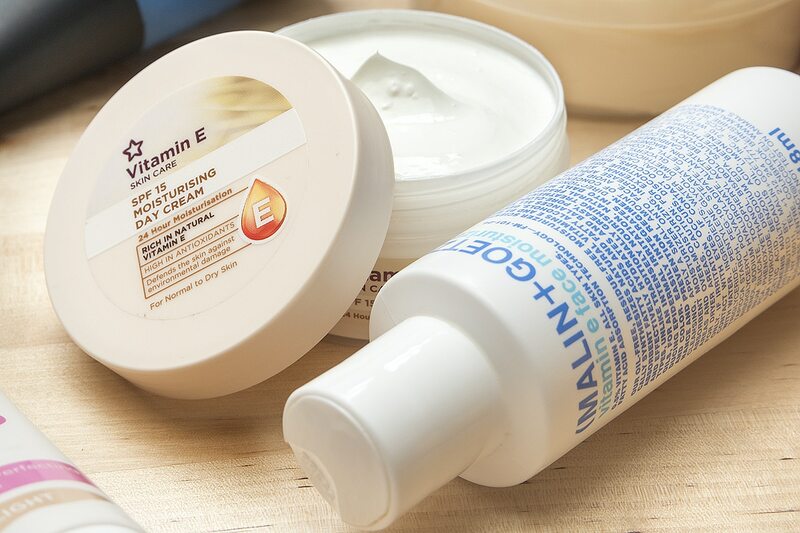 Superdrug’s Vitamin E moisturiser is for a more normal to dry skin type and is richer in texture and consistency; it has a host of other ingredients (some with natural origin) and has no added fragrance. So in testing, I applied the Malin + Goetz to my forehead, nose and chin whilst I put the Superdrug counterpart on my cheeks and jaw. Well, my skin has felt amazing all day. Whereas the Malin + Goetz would leave my cheeks a little dry, Superdrug’s Vitamin E left them really hydrated and without any residue (a little to start but it disappears fairly quickly). Winner: Both! I think these are excellent examples of how instead of totally switching, you can mix and match your favourite products with Superdrug’s own brands and create a really versatile, custom-skincare routine. Particularly during summer, the upper layers of your skin become a little thicker due to sun exposure. Therefore making sure you step up your exfoliation is key. These are two great scrubs but just as with the Vitamin E Switch And Save comparison, they’re excellent in their own unique ways. The Clinique For Men Face scrub is a facia scrub purely and simply, with a mentholated clay base with an awesomely abrasive grain scrub. It can be used almost like a mask and stays on the skin until you rinse it away. The Superdrug Deep Purifying Facial Scrub is more of a wash, designed for oily combination skin and as well as using natural exfoliating grains in its base, it also uses the chemical exfoliant Salicylic Acid as well as Provitamin B5! 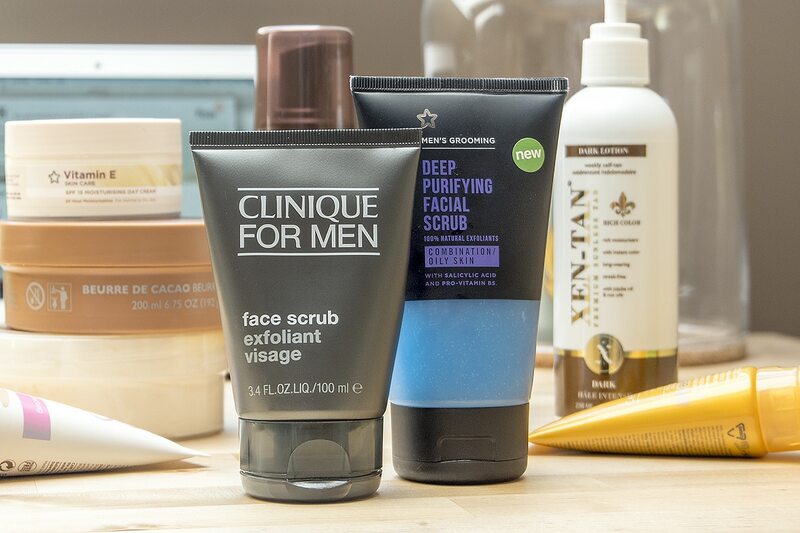 Winner: You could use both of these products alongside each other: the Superdrug Facial Scrub as a nighttime cleanser to both cleanse and lift out daily dirt; whilst the Clinique For Men Face Scrub can be used once a week as a total deep exfoliating mask. Superdrug are giving me 5 custom skincare/bodycare regimes to giveaway and the choice is all yours. If you’re one of the five winners, you’ll be asked to provide your big brand favourites in the following categories: Skincare, Suncare, Hair and Bodycare. 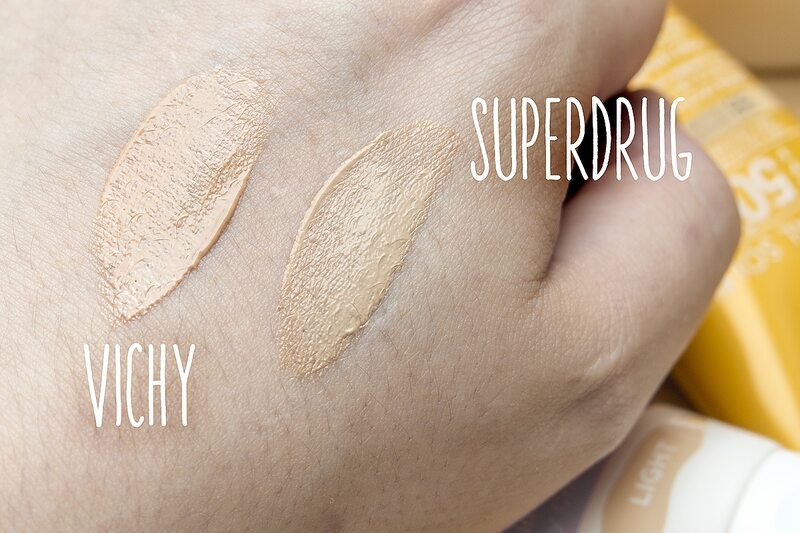 Then, Superdrug will send you their own brand swaps! All you have to do is enter using the Rafflecoptor form below. The giveaway ends 28th July and is open to UK entrants only. This article first appeared on MANFACE written by Thom Watson. It was published on Thursday 16th July 2015 and was last updated on Monday 3rd April 2017 at 1:22pm. It's categorised under Sponsored where you'll find more related content. I was converted to Superdrug some years ago. My favourite is their Vitamin E eye cream. I love this; really useful especially when hunting for bargains but still wanting quality beauty products. Thanks for your comment Ruth, really glad you enjoyed the post!